Suzhiyam/ Suyyam/ Suzhiyan/ Seeyam/ Borrelu is a deep fried sweet dish made with channa dal and jaggery stuffing. 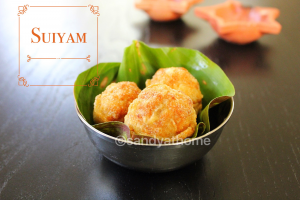 This sweet dish is usually made during diwali and that’s why I thought to post it just before the festival. This sweet dish has a stuffing and outer layer made with a simple and easy batter. 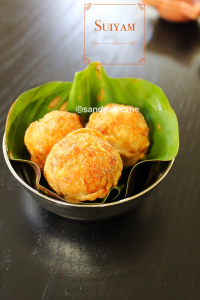 The outer layer can be made with regular idli/ dosa batter or with simple maida batter, both tastes yummy. 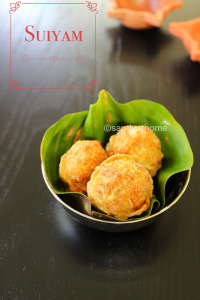 I usually make this sweet at home whenever I have leftover pooranam/ stuffing or sometimes make extra pooranam to make this dish as it is favorite. 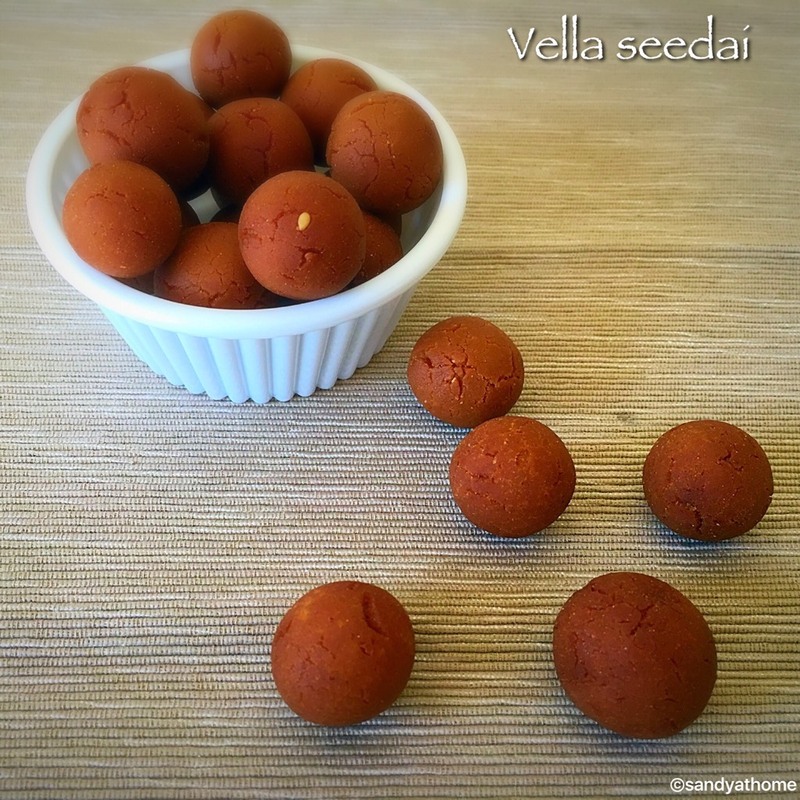 Do try this easy and simple sweet recipe for this diwali! So lets get to the making! Wash and pressure cook channa dal for 2 whistles. Drain water from cooked channa dal. Mash channa dal, add powdered jaggery and cardamom powder in it and mix well. Keep this mixture aside. In a bowl add maida, rice flour, and salt. Mix well add water gradually to form a batter. 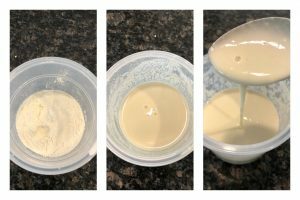 (I used around ½ cup water) keep this batter aside. Heat oil in a frying pan. Now make pooranam into small balls. 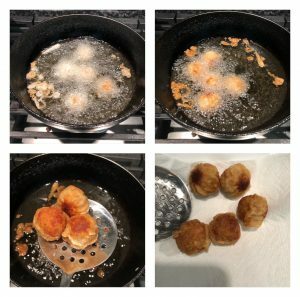 Coat each balls in batter well and drop in it preheated oil one by one. Fry it in medium flame and the outer layer looks cooked remove it from the oil using a slotted spoon. Don’t over cook as the pooranam will burst out in the oil and splutter.Transfer it to plate with paper towel and relish it hot. 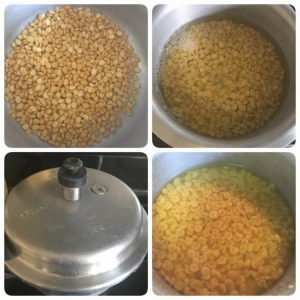 Wash and pressure cook channa dal for 3 whistles. Drain water from cooked channa dal. Heat oil in a frying pan. Now divide the pooranam into small balls. 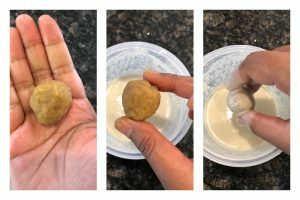 Coat each balls in batter well. Now drop the batter coated balls one by one in preheated oil. Fry it in medium flame and when the outer layer looks cooked remove it from the oil using a slotted spoon. Don’t over cook as the pooranam will burst out in the oil and splutter. Transfer it to plate with paper towel and relish it hot.